You are here: Neurological Imaging/Steve V. Marx, M.D. Graduated from University of Washington School of Medicine, Seattle, WA. He completed his residency at Virginia Mason Medical Center also in Seattle, but returned to his alma mater for a fellowship in neuroradiology. He also holds a Certificate of Added Qualifications in Neuroradiology. 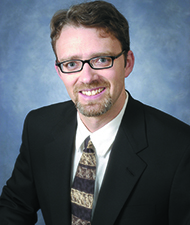 Dr. Marx joined Boise Radiology Group in July, 2000. Dr. Marx enjoys skiing, biking and hiking with his wife and four children.